Just when I thought this pot contained a juvenile palm grass plant, it goes and flowers on me, proving it is, in fact, Spathoglottis plicata – a purple ground orchid native to the Philippines, but also found in Asia and Australia as well as islands of western Pacific including Tonga and Samoa. I made this photo square, just for Becky, and because it looks spectacular like this. 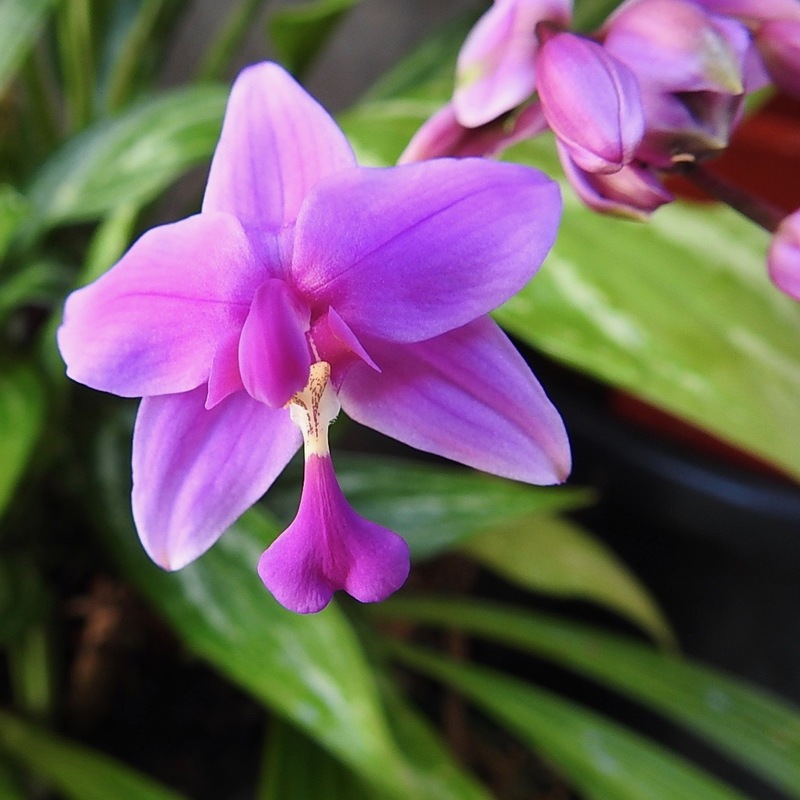 It certainly was a lovely surprise finding this orchid blooming this morning when I went to water my plants. I have been watching one bud for over a week, and although I’ve had this plant in this same pot, and in this exact same position, for well over a year, this is the first time it’s flowered (for me anyway). And it was a double surprise to discover another two spikes, one budding, the other already blooming (though it was hidden under my tree begonia). Wow! Three flower spikes, and (according to Wikipedia) they can produce up to forty flowers. I’ll have to keep an eye on them over the next week or so to see how they progress. This is yet another ‘grow it forward plant’ that came from my Aunty Pat’s home, and I know she’d be delighted with these gorgeous little blooms. Oh what a treat! Beautiful my friend!